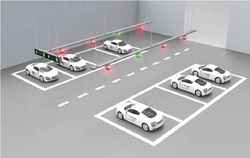 Our product range includes a wide range of parking management system, electronic parking system, booth parking system, intelligent parking management system, car parking management system and automatic car parking system. Backed by a diligent and experienced team of professionals, we have been able to supply an excellent range of Parking Management System. • Used to charge parking in the commercial spaces. 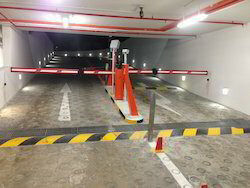 • Flexible: Parking system with versatile configuration and extensible function makes it more flexible to meet the customization requirement as per parking operations and facility. 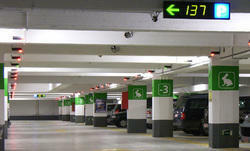 Automatic Parking Management System: APMS solutions is designed to cover three important aspects of parking facility: Traffic Management business, security management, and revenue management.It also as integrated business model to create more revenue benefits with customer satisfaction.It is ideal for big size multi-level indoor parking facilities. The complete automated parking solution consists of following parking competent to make it secure, managed integrated model. 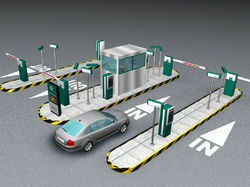 Housys's fully automated car parking system upsurge parking up to 100% gliding cars closer organized, both side-to-side plus bumper-tobumper.Our parking stage permits parking two levels deep through independent control to any car.This may maximize space usually lost in driving lanes plus behind columns.Our tuntable permits convenient access in slight and limited spaces. Doubles parking capability over comparably sized conformist garages. 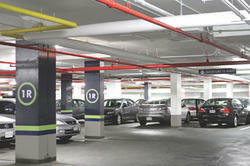 Delivers for the secure/Safe parking of cars through safety benefits for users. Accommodates delivers car heights also large, luxury cars. • Doubles parking capability over comparably sized conformist garages. • Delivers for the secure/Safe parking of cars through safety benefits for users. • Accommodates delivers car heights also large, luxury cars.